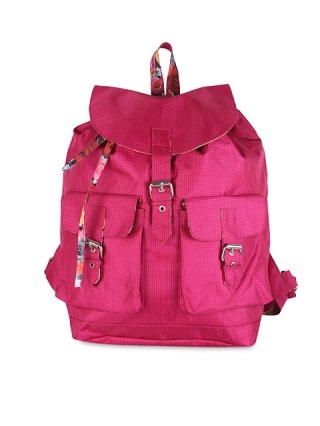 15 AWESOME Backpacks For The College Going Girl - Under Rs 800! 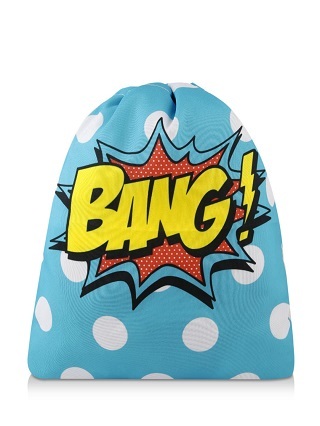 Dear girls, no matter how amazingly you dress up, a not-so-trendy bag is always a potential game-spoiler. Don’t worry, we have found a perfect solution for your problem. 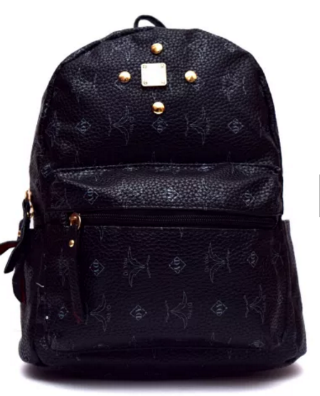 Presenting these 15 quirky backpacks, that will let you carry your world in them without compromising on your style. Oh and they can fit all your college books too! And you know the best part? You can get them all without burning a hole in your pocket - they are all under 800 bucks! Make a style statement with this trendy bag, we just can’t get over it. It’s so bright and funky that it totally deserves a place in your wardrobe ladies! Price: Rs 399. Buy it here. Who doesn’t love water melons? 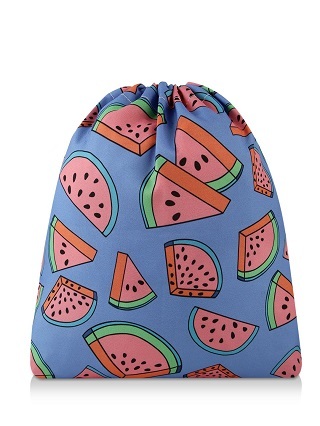 Well, even if you don’t, you will surely love this cute melon print bag. It’s just so cute and looks yummmm...! Price: Rs 790. Buy it here. 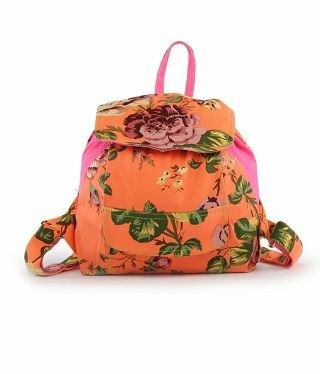 We fell in love the moment we stumbled upon this gorgeous floral bag. It is made of cotton canvas and has overlays and stitching details that make it a perfect choice for a college girl like you! Price: Rs 756. Buy it here. A great fan of graphic prints? 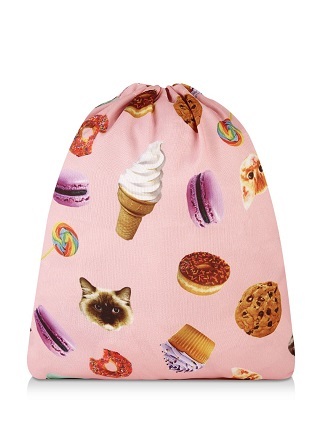 Then, isn’t this bag exactly what you need? And we absolutely love the orange and blue colour combination. Price: Rs 599. Buy it here. 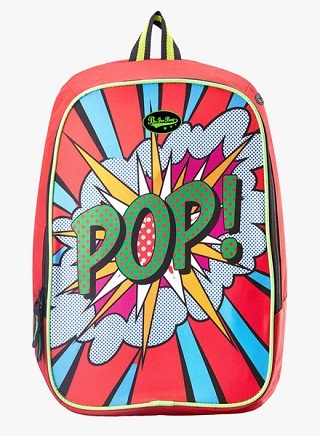 Make any of your boring outfits stand out with this oh-so-cool backpack from Koovs. The print, the colour and graphics are just so eye catchy, need we say any more? Price: Rs 790. Buy it here. 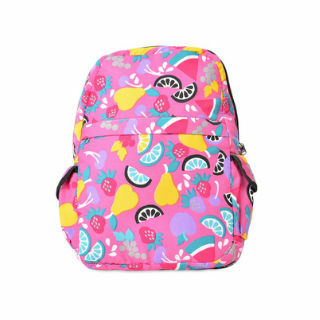 We are literally going *bananas* over this super cute backpack. 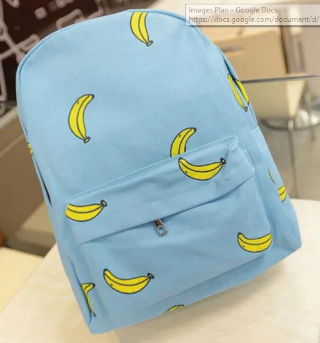 The yellow bananas and the skyblue colour have literally had us monkeying around. Price: Rs 799. Buy it here. 8. 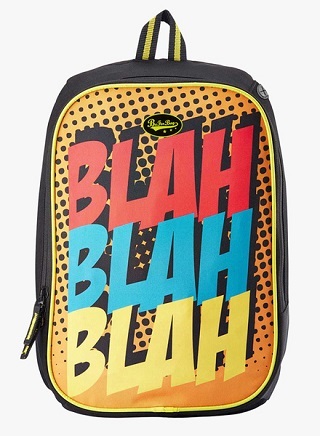 Don’t Be A BLAH! 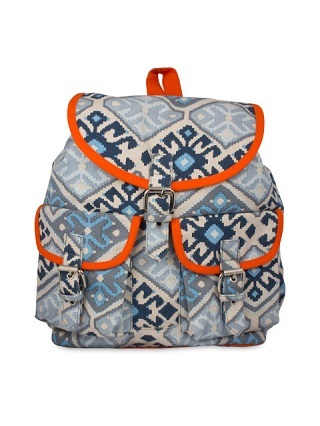 Quirky, offbeat and eccentric are three words that describe this backpack the best. It is durable and has room for all your things. Loving it, right? Price: Rs 399. Buy it here. 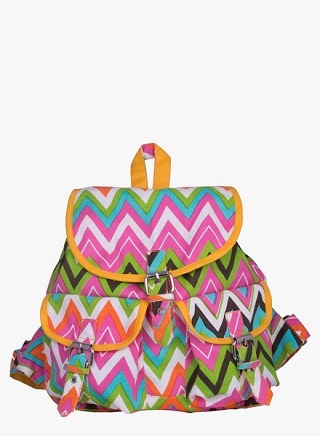 The bright colourful zig zag pattern of this bag caught our attention so hard that we haven’t been able to look away since then. We are sure you would agree, after all it’s just so pretty! Price: Rs 779. Buy it here. No list can ever be complete without the classic black bag. So here’s our favourite black bag with a twist of metal studs and prints. We have got ours, buy yours now! Price: Rs 719. Buy it here. What’s fashion without fun? Umm...boring? Exactly! 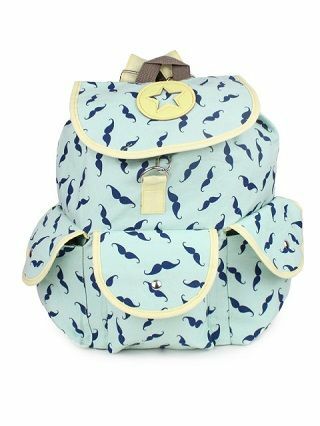 So leave it to this moustache print bag to make the most boring of your outfits look absolutely stunning. 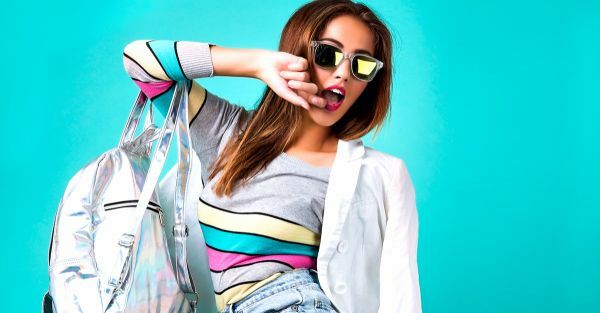 As we said, have some fun with fashion and get this bag right away. Price: Rs 519. Buy it here. Flirty, feminine and fun are the only three words that boarded our train of thoughts when we came across this stunning bag. Trust it to brighten up your simplest of outfits! Price: Rs 749. Buy it here. 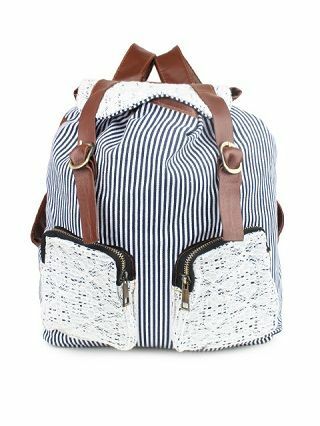 Carry all your essentials in style with this super cute striped bag. Dressing up in basics has never been better, has it?! Price: Rs 519. Buy it here. 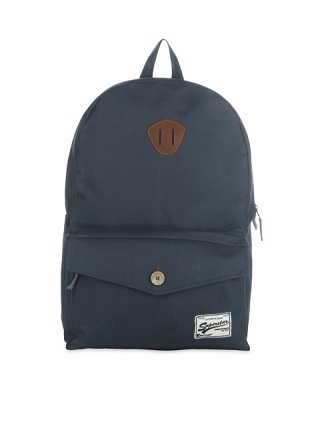 This bag from Impulse is a perfect blend of style and utility. And just look at the price, what else do you even need?! Price: Rs 674. Buy it here. Price: Rs 790. Buy it here. Have fun, you can thank us later!